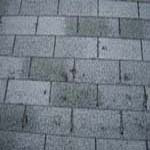 Often times homeowners either ignore or are unaware of small roof repairs that their Pennsylvania roofing needs. Neglecting to have your Lancaster County roof repaired in a timely manner can lead to costly damages to your wallet and the overall look of your house even if the problem seems small or insignificant. No matter what type of roofing you have – roofing shingles, metal roofing, tile roofing – the key is to keep check of the slightest changes in the roofing structure and to have a professional Lancaster County roof repair contractor make any necessary repairs as soon as possible. Ensure your roof stays in good condition by contacting the roofing specialists at Zimmerman’s Roofing, LLC, Inc. Our experienced Lancaster County roof repair experts will offer you an honest evaluation of the condition of your roof and what repairs may be needed. Whether you have slate roofing that needs repairing, or you are looking to replace your roofing shingles with a new, durable metal roof, our Lancaster County roofers have the craftsmanship and expertise to ensure your roof provides your home with the protection and quality you require. If you need roof repairs in Lancaster County, don’t wait until the issue gets bigger and the damages to your roof and home get more costly! Call Zimmerman’s Roofing, LLC as soon as you suspect you need roof repairs. When homeowners in Lancaster County and the surrounding areas need roof repairs, they often turn to Zimmerman’s Roofing, LLC We are a professional Lancaster County roofing contractor that is locally owned and operated with years of experience taking care of the roofing needs of homeowners throughout Pennsylvania. We offer roof inspections and estimates, and we are known for our 10 Year Labor Warranty. Should your roof repairs be necessary due to insurance claims, you can rest assured that Zimmerman’s Roofing, LLC will take care of you. 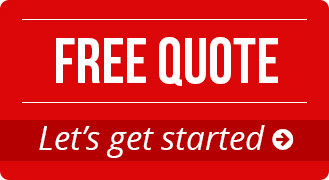 We are insurance recovery specialists, and we will deal with your insurance company for FREE if it applies. Call us today to learn more about our roof repair services and to schedule an appointment with one of our expert Lancaster County roofing contractors.